Print your own everything: Is this machine the cure for conformity? You know what you want. You can imagine the exact size, color, texture and shape of the product you've already wasted hours searching for on the internet -- or heaven forbid, at the shopping mall. If only there was a store that could read your mind. If you can dream it up, then an increasing number of 3D printing companies can create it and deliver it to your door within days -- regardless of whether it's made from titanium, plastic, or even chocolate. But by turning the consumer into the craftsman, could 3D printing actually turn back the clock on mass production as we know it? "Technologies like 3D printing are returning us to our roots -- roots of pre-industrial revolution, pre-mass production," said Avi Reichental, president and CEO of 3D Systems, a South Carolina-based company credited with pioneering additive manufacturing over 30 years ago. "That means back to a hyper local model in which you can make what you need, bespoke, customized, made for you, fit for you," he added. 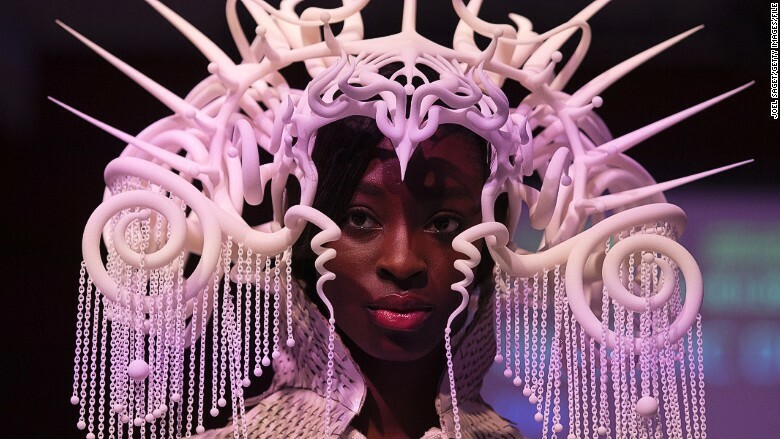 A 3D printed creation, designed by Joshua Harker, printed by Eos, and modelled during the 3D Print Show in Paris on November 15, 2013. The technology is also transforming lengthy prototyping processes in industries ranging from aerospace to consumer electronics, and while the hardware is expensive and print times are still not fast enough for some, Reichental believes this is a game changer, allowing small startups to compete with deep-pocketed multinationals. 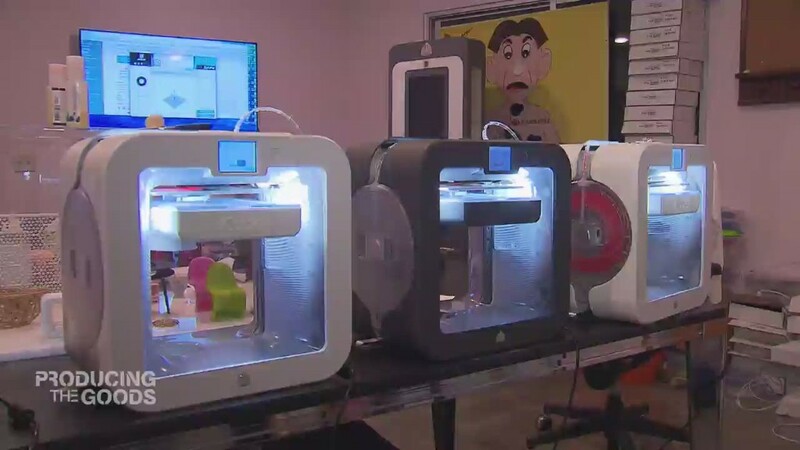 "3D printing is one of the most powerful disrupters of business models," he said. "I think we are going to see and experience a real renaissance in localized manufacturing." He believes this new technology places humanity "at the epicenter of the next industrial revolution." "Think about the whole idea of having instant manufacturing from an idea -- no tooling, no lead times, no limitations from complexity," he said. The company's cloud facility in Buckinghamshire, England, eliminates the need to buy an expensive 3d printer, and allows designers to print prototypes and parts. "It's as simple as logging into a website, uploading your designs, choosing the process and the materials, and then we manufacture it for you and send it back to you," explained Nick Lewis, general manager of 3D Systems' Quickparts UK branch. "The future of this technology is mass customization," he said. "Because the design is controlled by the computer, there's no cost overhead for us to produce each one very slightly different." Indeed, once programmed, these machines can operate through the night unattended, printing anything from car parts to eyewear. "It's a way of producing, particularly for something like eyewear, complex plastic parts," said Lewis. "It means new designs can be produced very quickly and easily and brought to market with novel features which simply couldn't be incorporated into normal eyewear manufacturing. It also allows low stock holding and very quick turnaround of the product."